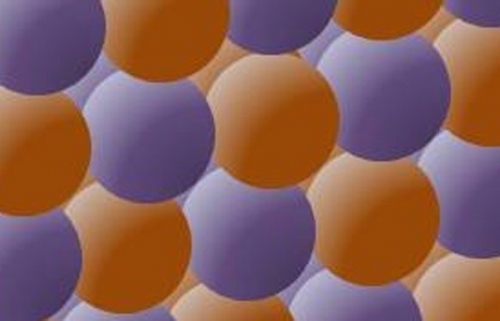 Scientists from the University of Sheffield have analysed the microscopic structure of widely used crystal materials for the first time to reveal their detailed atomic properties. The experts from the University’s Department of Physics and Astronomy have been able to shed new light on the inter-atomic bonding in semiconductor crystals using optical microscopy. Inter-atomic bonding is crucially important for crystal properties and, for example, can explain why the exact same carbon atoms can be a pencil lead and diamonds depending on the atomic structure. Creating a technique similar to an MRI scanner, the team analysed the samples of several types of semiconductor quantum dots to show that the nature of the microscopic structure can be extracted by simply looking at the properties of the light emitted by the crystal. Researchers placed samples containing semiconductor quantum dots under an optical microscope to analyse the light emitted which enabled them to investigate the magnetic coupling of different atoms – known as hyperfine interaction ¬– and, for the first time, unexpectedly reveal the details of electronic band structure of crystals. This is a considerable improvement compared to previous sophisticated techniques that require bombardment of the sample with X-rays or high-energy electrons. Dr Chekhovich added: “The family of solid state materials is very large and used widely in modern technology. The way the atoms bond to each other and align inside the crystal largely defines the properties of the material: how well it can conduct heat and electrical current; whether it may be applied for light emission useful in lasers and LEDs or light absorption useful for solar cells; how robust its structure is and whether it may be good for making devices’ parts capable of operating for many thousands of hours. Initially the team set out on a quest for a reliable hardware implementation of a qubit, a computing bit to be used in quantum computation, before their work took on a new and unexpected direction allowing them to gain new insights into microscopic internal structure of macroscopically large crystals. The findings, which are published in the journal Nature Physics, also have long-reaching consequences for a large area of research related to quantum information processing.